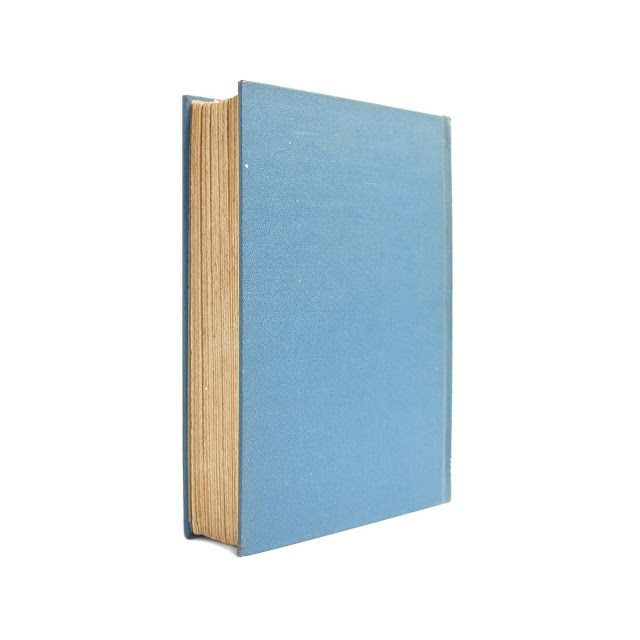 Vintage edition of Austen's classic novel, this copy comes from a larger set of classics published by The Literary Guild. 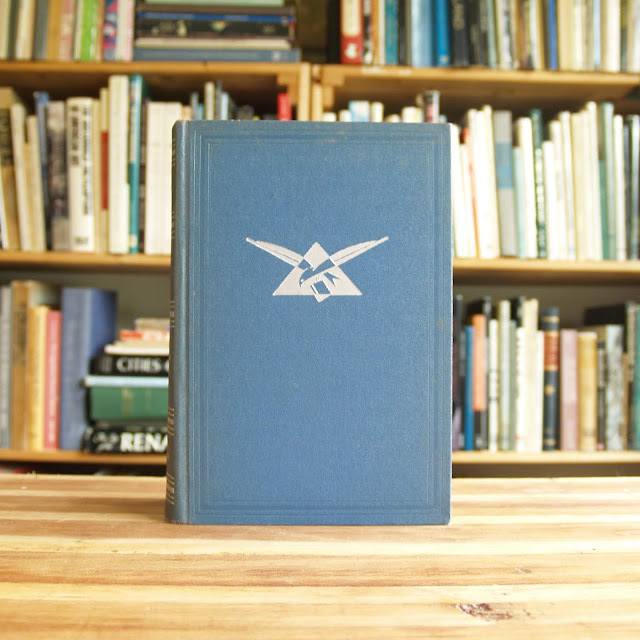 The collection, known as "The Guild Classics," was published in the 1930s, although no date stated in this copy. 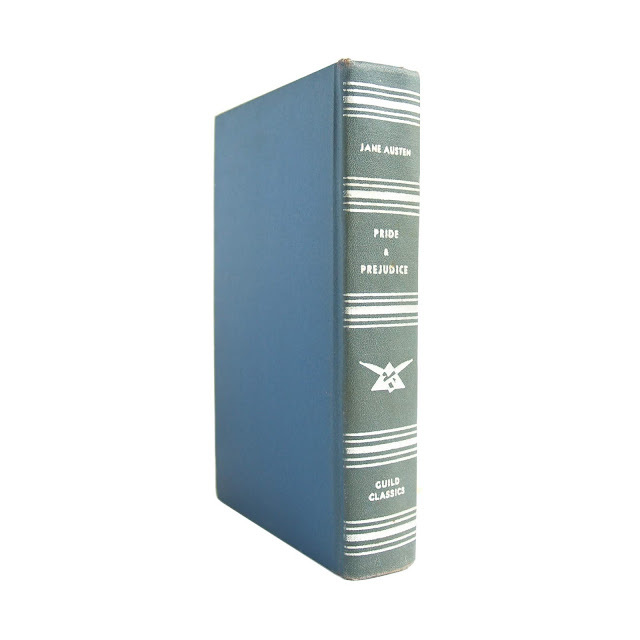 Carl Van Doren provides an introduction, and was at the Literary Guild from 1926-1934 - Library of Congress indicates this binding version ca. 1932. 5.5 x 8 inches with 364 pages. 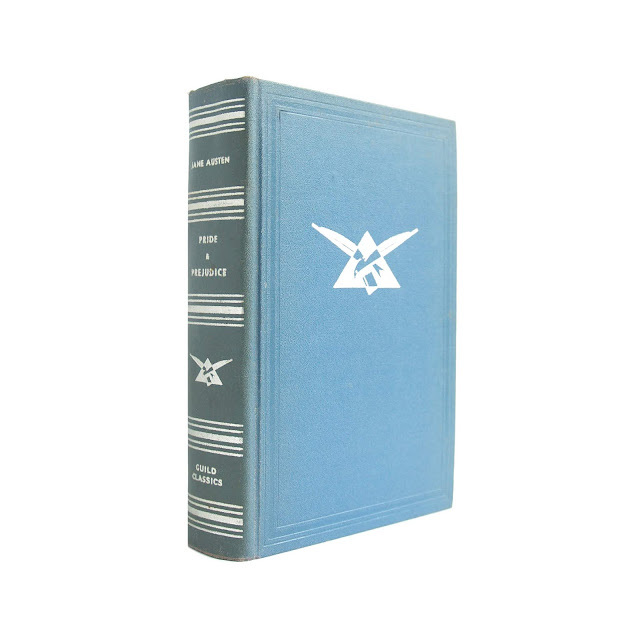 Blue cover with silver decoration, decorative blue endpapers. Deckled outside edge. Some soil to covers, spine faded a bit and soiled. Binding tight.